Perfectly adorable, solid block construction home in the wonderful Mulberry Place/Campus Vista neighborhood. 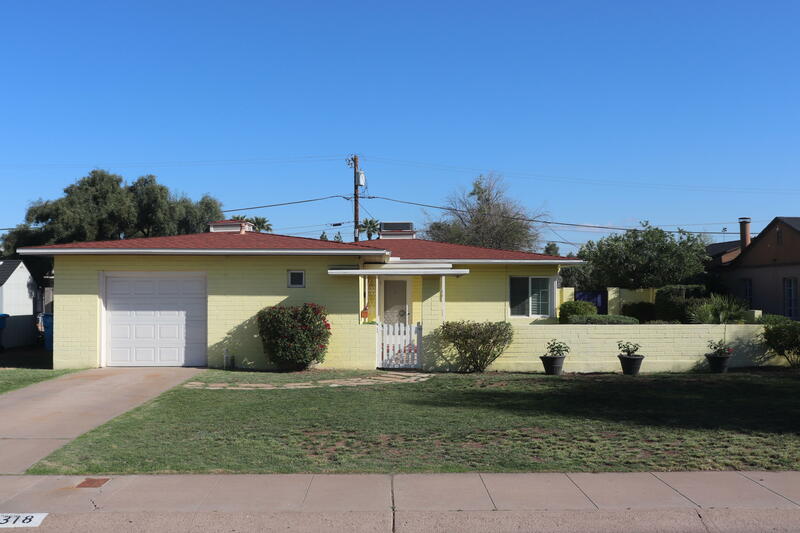 An ideal combination of vintage charm & 'big' upgrades such as roof, dual pane windows, A/C, this little ranch house is move in ready, but also leaves enough room to sprinkle in your own touches and additions if you wish. Situated on a very large lot, with an attached one car garage, spacious & inviting front porch/sitting area, and walking/biking distance to Encanto Park, Phoenix College, and lots of up and coming restaurants and coffee shops, it's easy to fall in love with just about everything this property has to offer!